I. OBJECTIVE: For amateurs around the world to contact other amateurs in as many U.S. states, Canadian provinces, and countries as possible utilizing the 160 meter band. II. BAND USE: 1810 – 2000 kHz in ITU Region 1. 1800 – 2000 kHz in ITU Regions 2 and 3. All entrants are encouraged to spread out as much as possible, obeying frequency restrictions and power limits for their own country. Any violations of the ITU band use may result in Disqualification. A new rule is added to allow the use of one and only one remote receiver located within 100KM of the main transmitter site. WebSDRs are OK, but must be located within the 100KM limit. The rule is designed to accommodate new technology, and for those who experience high noise levels at the transmitting site. Anyone found using a remote receiver outside the limit will be subject to Disqualification. 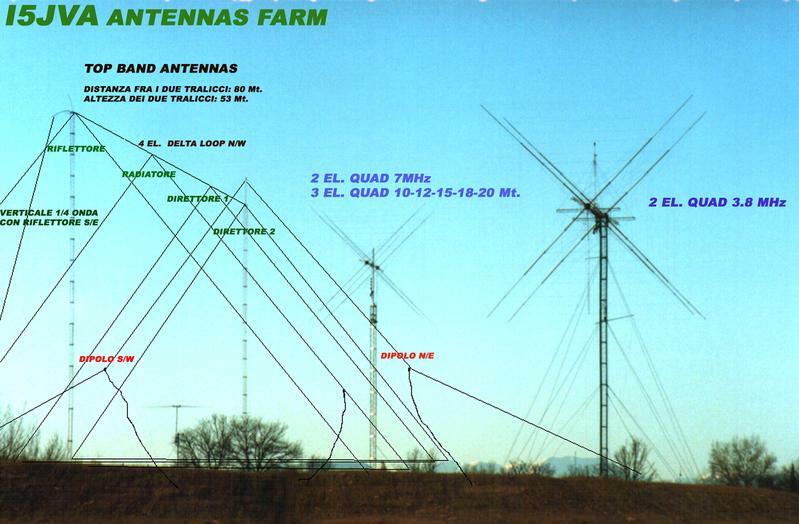 The main site is defined as all transmitters, receivers, and antennas must be located on the same contiguous property. If the property is not contiguous, then all equipment must fall within a 1500 meter radius. All antennas must be connected by wires to the main station. This rule applies to all entrants. The use of any so-called “Chat Rooms” via the internet or similar means for communication between stations or operators during the contest period is strictly prohibited. Do not arrange or confirm QSOs by any other means than the use of the 160 Meter band and the same mode as used in the contest. Any such use may result in disqualification at the discretion of the committee. The use of self spotting is not allowed in any category. The use of any receiver located away from the main site is strictly prohibited. The use of a separate receiver at the remote control location is prohibited. Any receiver linked via the Internet or RF not physically located at the main site is strictly prohibited. If the remote station is located in another DXCC entity, it is required to comply with all local country regulations. Operating time: Each contest is 48 hours long and starts at 2200Z. Single operator stations may only operate 30 out of the 48 hours. Multi-Operator stations may operate 40 hours. Off times must be a minimum of 30 minutes in length for all categories. (A)Single Operator: One person performs all of the operating, logging, and spotting functions. Maximum operating time is 30 hours. Passive spotting is NOT allowed. (See definition of passive spotting functions below.) Only one transmitted signal is allowed at any moment in time. Maximum power is 1500 watts total output. (B)Single Operator/Low Power: Same as (A) with the exception that the output power shall not exceed 150 watts. Stations in this category compete with other Low Power stations only. (C)QRP: Same as (A) with the exception that the output power shall not exceed 5 watts. Stations in this category compete with other QRP stations only. Note there is no Assisted category for QRP entrants. (D)Single Operator Assisted: HIGH POWER ONLY. Same as (A) with the following exceptions: The use of passive spotting IS allowed. (See definition of passive spotting functions below. ); The use of one and only one remote receiver within 100 KM of the transmitter site is allowed. (E)Multi-Operator: HIGH POWER ONLY. All rules apply as in Single Op Assisted (except remote receivers ARE NOT allowed); however, more than one operator (person) is involved in the operation. Maximum operating time is 40 hours. Only one transmitted signal is allowed at any moment in time. Maximum power is 1500 watts total output or the output power allowed by your country, whichever is less. The use of passive spotting is allowed. DX spotting nets or QSO alerting assistance of any kind. Over-the-air nets or stations that provide frequency and station information. Any device or person that provides frequency and callsign information of any station during the contest period. This includes band skimmers or similar devices. Passive spotting does NOT include band scopes, SDR receivers, or the like, which provide no information about the signal other than its presence, which is allowed in all categories. IV. Exchange: RS(T) and state for U.S., province for Canada, and CQ Zone for DX. Note: Zones are location indicators only and do not count for multipliers. Canadian Provinces: (14) VO1, VO2, NB, NS, PEI (VY2), VE2, VE3, VE4, VE5, VE6, VE7, VE8 (NWT), VY1 (YUK), VYÃ˜. Note VO1 and VO2 are separate due to tradition. DXCC plus WAE countries: WAE: IT, GM (Shetland Islands), JW (Bear island), TA1 (European Turkey), 4U1VIC, Z6 Kosova. Contacts with stations in own country: 2 points. Contacts with other countries on same continent: 5 points. Maritime mobile contacts count 5 points. There is no multiplier value for a maritime mobile contact. VII. SCORING: All stationsâ€”the final score is the result of the total QSO points multiplied by the sum of all multipliers (states, VE provinces, DX countries). VIII. Awards: Certificates will be awarded to the top scorers in each class (see provisions under classes) by state, Canadian area, and DX country. Runners-up with high scores over 100,000 points may also receive certificates. The trophies and donors for all categories can be found on the official contest web site CQ160.com. If you are interested in sponsoring a plaque, please contact us at: <questions@cq160.com>. IX. Club Competition: Any club that submits at least three logs may enter the Club Competition. The name of the club must be clearly identified under club competition on the summary sheet, or summary portion of the Cabrillo log. Please make sure all entrants from your club use the same club name (spelled the same) in the Cabrillo entry. Non-compliancewith this request may result in your score not being credited to your clubâ€™s entry. The new deadline for log submissions is 5 days from the end of the contest. For CW this is 2200z Feb 5, 2016. For SSB this is 2200z Mar 4, 2016. The submission of Cabrillo Logs is highly encouraged. Please submit CQ WW 160 Meter Contest logs via e-mail to <160cw@cq160.com> for CW and <160ssb@cq160.com> for SSB. Logs are requested to be in the Cabrillo file format. You can view the current list of logs received at <www.cq160.com>. Mailing deadline (postmark) for CW entries is February 5, 2016; for SSB entries March 4, 2016. Mail all paper/disk logs to: CQ 160 Meter Contest, 25 Newbridge Road, Hicksville, NY 11801 USA. Indicate CW or SSB on the envelope. For hardship cases that require more time for log submission, send an e-mail to <Director@cq160.com>. We will make every effort to accommodate you if you have a valid reason for delay. Cabrillo formatted logs are received by a log processing robot. If your log has been submitted correctly, the robot will reply with an e-mail containing a tracking (confirmation) number. If there is a problem with your log, the robot will send you an error message containing suggestions for how to fix your log. Read this e-mail carefully. Most log submission problems are minor and can be corrected in one pass. Submit your log as many times as needed. The last submitted log will be the version that counts for your official entry. Once you receive a tracking number, your log has been accepted. Inquiries may be sent to <questions@CQ160.com>. Be sure to send in paper and diskette based logs early to ensure receipt by the deadlines. Unreadable paper logs will be classified as check logs. XI. Penalties and Disqualification: Logs will be cross-checked and penalties will be applied at the committee’s discretion for contacts determined to be bad or busted. The bad QSO is removed and a penalty of two more equivalent QSOs is applied to the points only. No penalty should be applied for unique QSOs unless they are deemed excessive. A log may be disqualified for violation of amateur radio regulations, unsportsmanlike conduct, or claiming excessive unverified contacts. Report file outputs showing final score calculations will be available for all entrants after the results are published. The decisions of the CQ WW 160 Contest Committee are final.